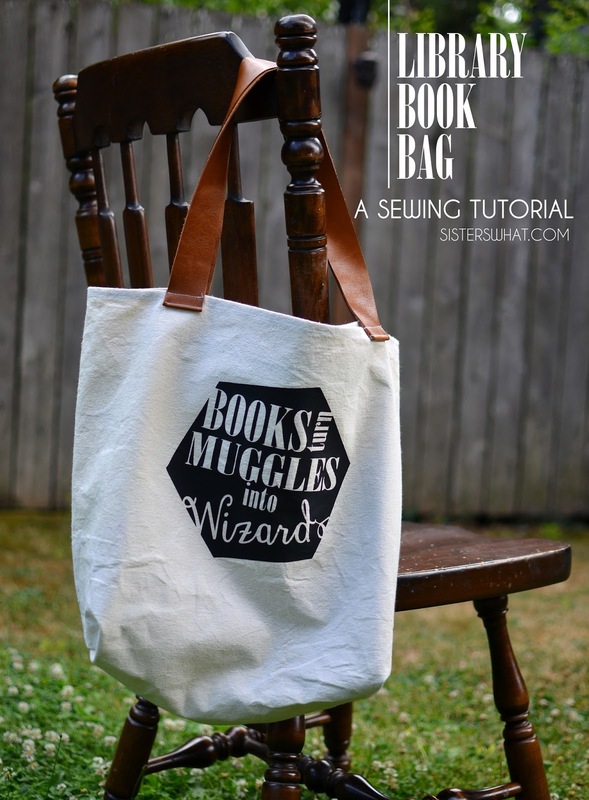 ' Harry Potter Library Bag: Books Turn Muggles Into Wizards Sewing Tutorial - Sisters, What! Have I mentioned that I love reading? Seriously, I start getting itchy if I go too long between a book. Since having kids I don't get much time to read, but I've adapted and get a lot of "reading" done through audio book. Yes, it totally counts. I always try to have one audio book to listen to and one actual book to read. Anyway, I love books. And my kiddos love books. Whenever we go to the library, we probably walk out with at least 20-30 books. And we probably read each one of those books. I have lots of bags, but they're all tiny and literally falling apart from the books. So, I've been really wanting to make a new big, and heavy duty book bag. For the fabric, I used duck cloth. I really love this stuff. It's the same stuff I used for my DIY Banner. The cloth is heavy duty and it comes in lots of different colors. I didn't want just a plain book bag, I needed something that told everyone that this was my book bag. Yep, captain obvious for you (since I will be at the library and what else would that bag be holding). I remembered seeing this phrase a while back and well it was meant for my bag. 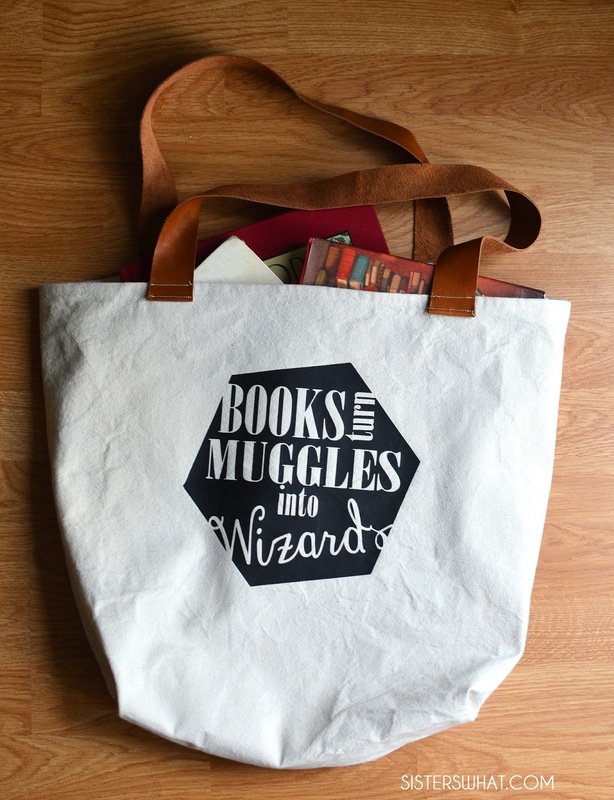 I love books and I love Harry Potter. I used Expressions Vinyl's heat transfer vinyl and cut out my design with Silhouette (get free file below). It's actually my first time using this heat transfer vinyl and I was happy about the result. I'm not sure how it will hold up over time, but we'll see. For the inside, I made a see through pocket, it seemed like a fun edition. 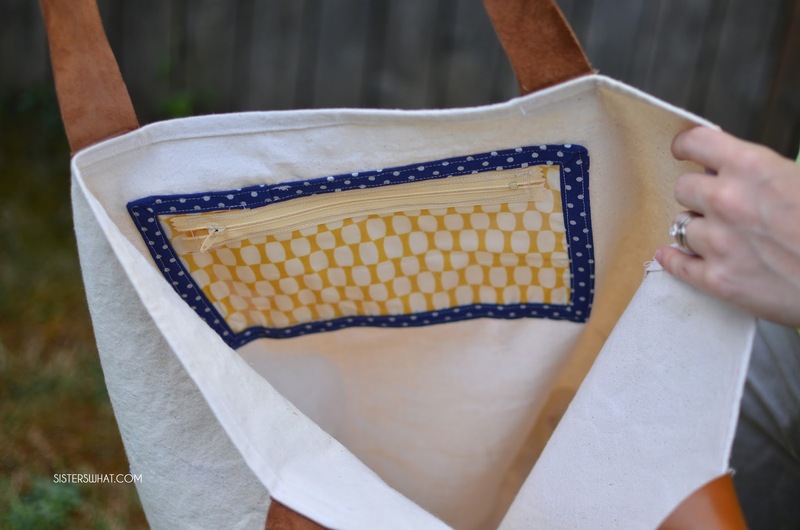 *optional pocket: fun fabric, bias tape and clear plastic. 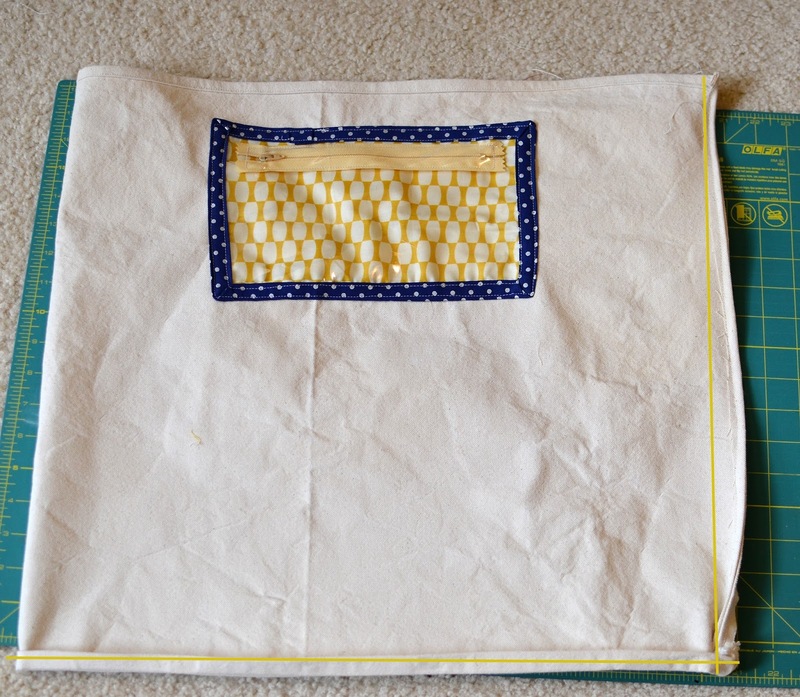 I wanted a big bag, so I cut my fabric 44x19. First finish all your edges since there is no liner. 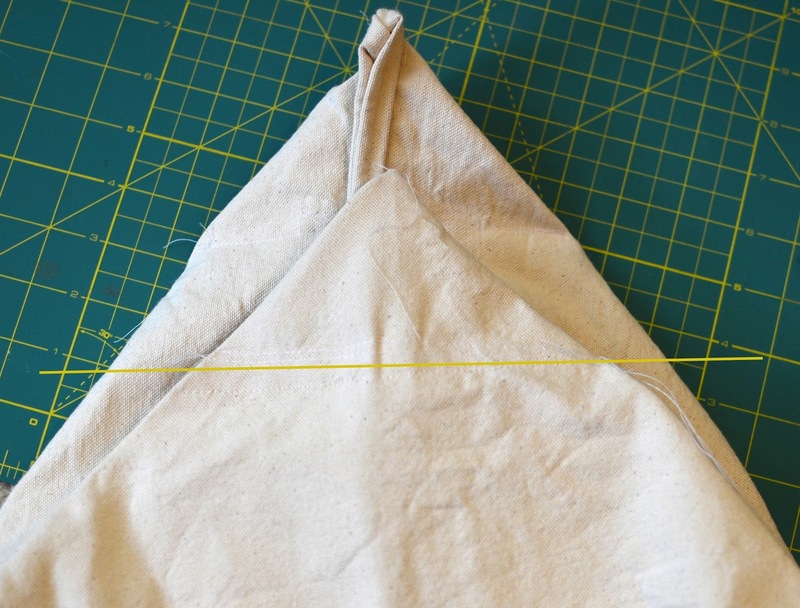 Now before you sew up the sides and bottom of bag together, add your pocket. Skip this if you decide not to do a pocket. 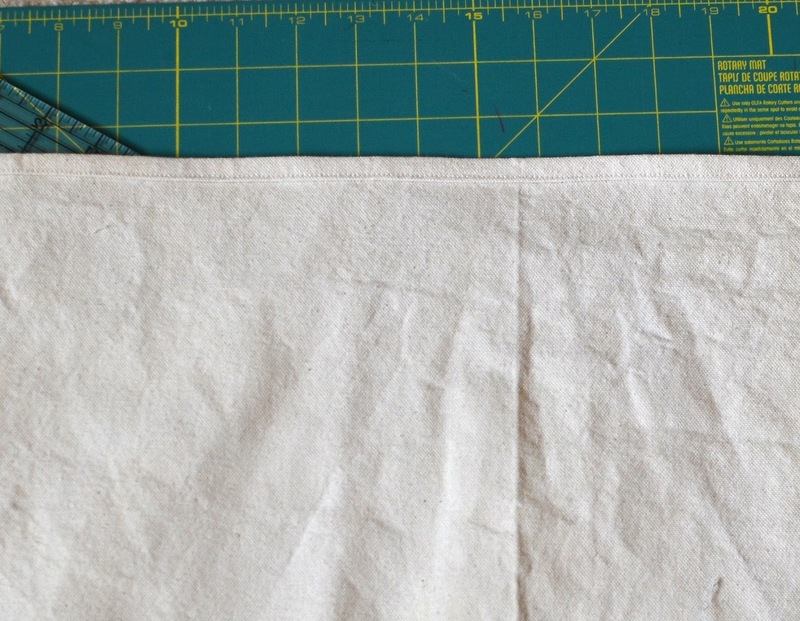 To make the pocket follow my see through pocket tutorial. 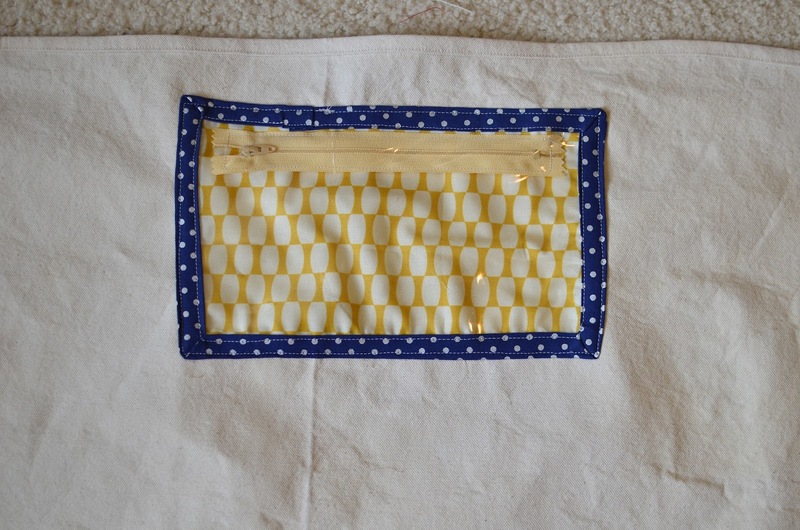 After you finish your see through pouch, sew it onto the interior top side of pocket. Now with right sides together, sew up the sides and bottom of bag. Now take your corners and box them. Here is a great tutorial on boxing corners. Then sew on your handles. I cut strips of leather about an inch wide. 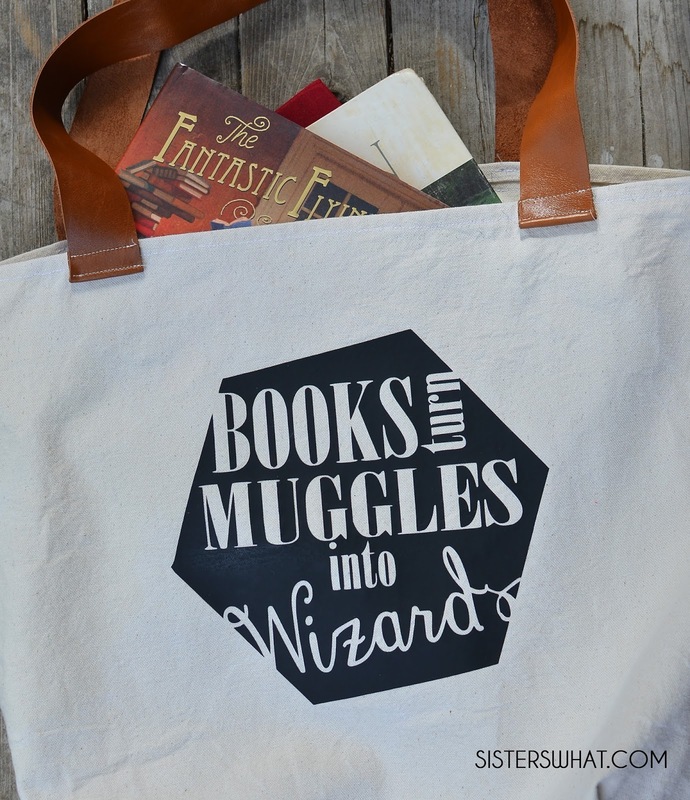 If you're adding the Books turn Muggles Into Wizards then download the silhouette file (or the other file if doing a freezer paper method). 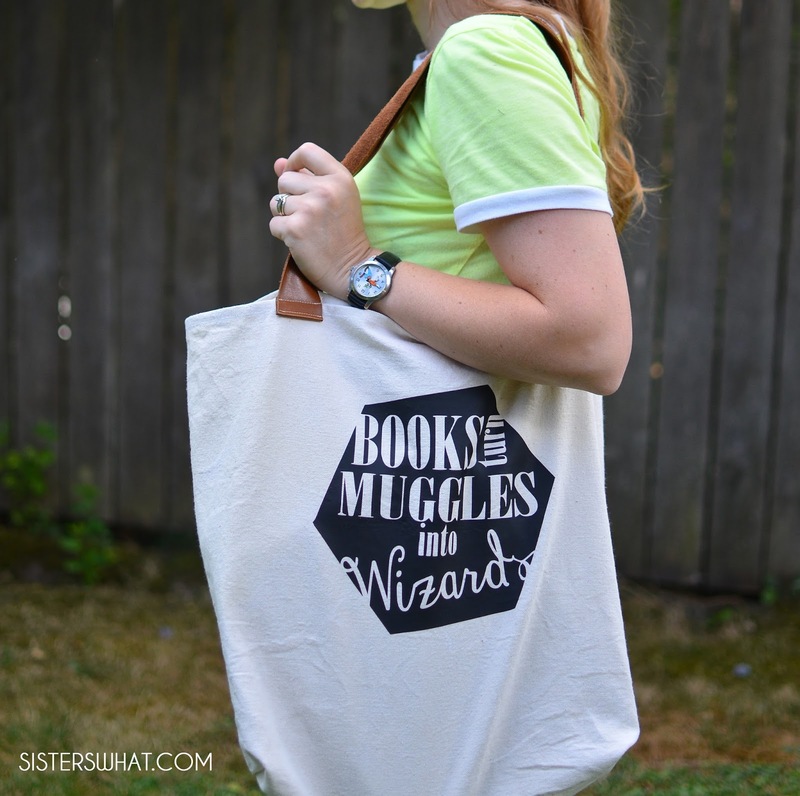 Go to Silhouette School tutorial on how to do heat transfer vinyl if you've never done it. *I do not receive any payment for this post, but I did receive free products from Expression Vinyl. All opinions are 100% mine. This post does contain affiliate links. great bag!! I love the added pocket inside! I totally need one! The added pocket is my favorite part! THanks so much! Oh I love this. 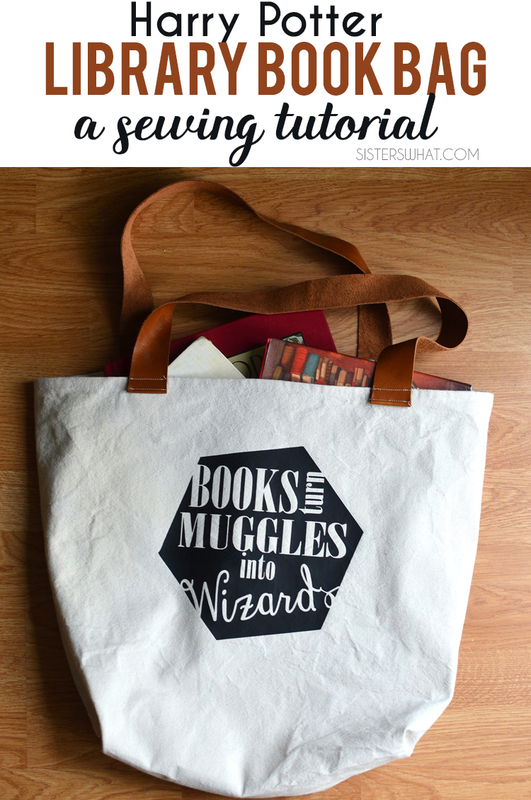 So perfect for a library bag! Thanks Alexis; It really is perfect! So what are the odds I could pay you to make me one? This is AWESOME.